As the events management field expands as an area of study, there is a need to move beyond the business and marketing-driven approaches which dominate the literature towards a more advanced conceptual analysis and understanding of events from a socio-cultural context. This book addresses this need by examining intersections between the social sciences and the emerging field of events management. It applies and specifically contextualises social science theories within the discourse of events to provide a greater understanding of the significance of events in contemporary society. It first outlines the value of approaching the study of events from a social science perspective, and then moves on to an in-depth exploration of relevant theories exploring topics such as identity, culture, consumerism, representation and place. It concludes with a summary of each chapter and a discussion of ways in which events can be further explored through the lens of the social sciences. The book features international case studies based on a variety of event types ranging from sports events, religious and cultural events and community events, which are used throughout to address contemporary issues and show theory in practice. 'Think Points' are integrated into each chapter to encourage the reader to reflect on theories, and each chapter concludes with summary points, further reading and links to useful websites to consolidate learning and further knowledge. 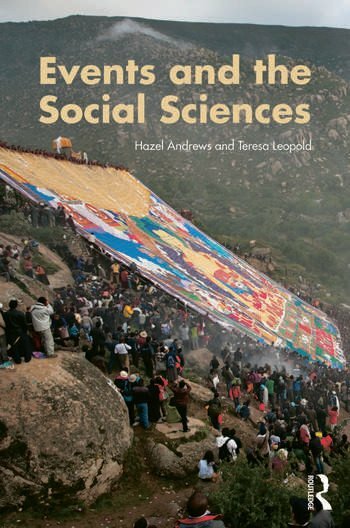 This book will provide upper-level students, academics and researchers interested in events, as well as those from related social science disciplines, with a robust socio-cultural conceptual analysis of the subject and a greater understanding of the significance of events in contemporary society. Hazel Andrews is Senior Lecturer in Tourism, Culture and Society in the Centre for Tourism, Event and Food Studies at Liverpool John Moores University. Teresa Leopold is Senior Lecturer in Tourism and Event Management Studies in the Business School at the University of Sunderland.